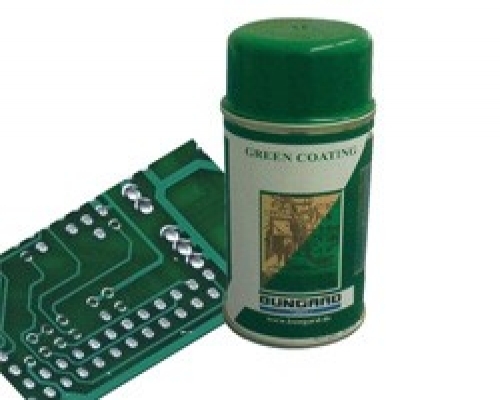 Bungard Green Printed Circuit Board Coating produces a professional, green protective coating for completed PCBs. Subsequent repairs or changes can be simply made through the coating. GREEN COAT contains flux and improves solderability!